It’s been a while since my last entry, welcome to all the new members of this international community! Rome is starting to be cold and the 50th anniversary of the Japan Cultural Institute is approaching. It will be in December, and lots of events are soon to be scheduled for next year. Meanwhile, a couple of very interesting and successful nights have been held here. 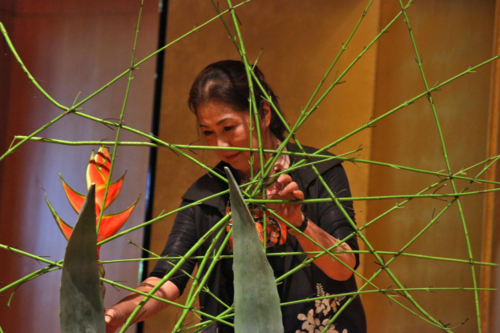 A very famous Ikebana Master Instructor took part in a wonderful conference/demonstration last October 5th. Mrs. Koka Fukushima came here to celebrate the 25th anniversary of the Ranson Study Group, the Italian branch of the Japanese Ikebana Sogetsu School. Ikebana is one of the most appreciated Japanese traditional arts, well-known in Italy as well, and with a lot of supporters and amateurs. 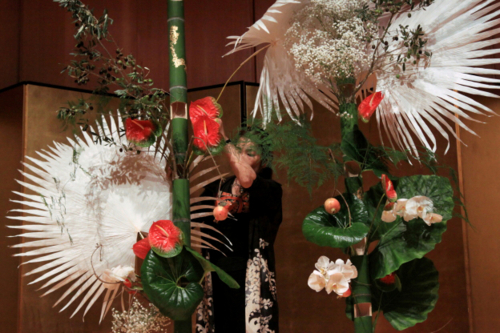 The peculiarity of Sogetsu School, one of the many different schools of Ikebana, is the great modernity and the attention paid to the materials. The founder, Sofu Teshigahara, with his revolutionary approach, had broken traditional ties with his contributions to the world of ikebana. The conference was a celebration of the Italian Ranson Study Group, founded in 1987 by Master Lina Alicino. 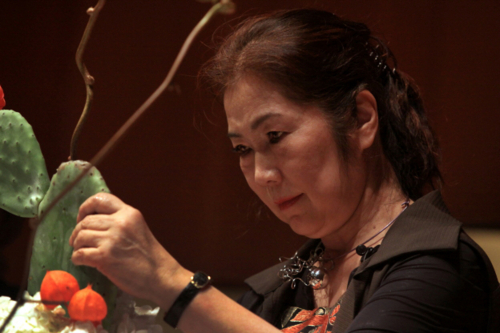 As a special guest, Mrs. Koka Fukushima enchanted the audience making wonderful ikebana compositions and talking about her method and experience. Two weeks later an old friend of the Institute came along with two fellow musicians to give an amazing concert. 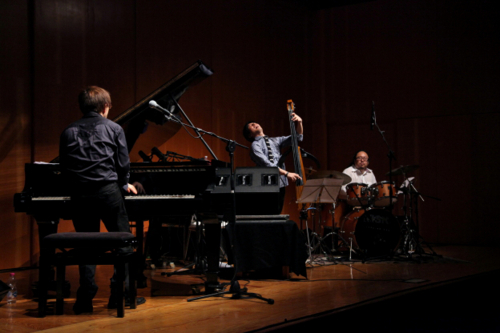 We had the privilege to have the great jazz pianist and composer Makoto Kuriya as our guest for the third time, together with Keisuke Torigoe (doublebass) and Hiroki Murakami (drums). 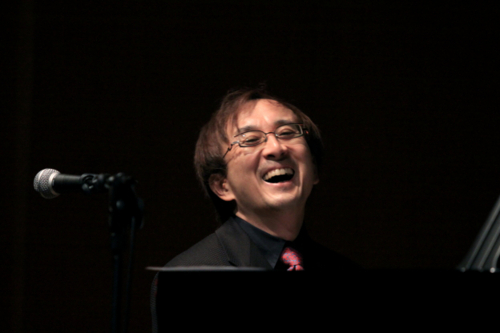 The concert was held on the occasion of the European tour “Makoto Kuriya Piano Trio” and was a great success. The next scheduled events are a conference about humanoid robots developed in Japan and the concert of Tadashi Tajima, a famous shakuhachi player. See you next time with new reports and news!